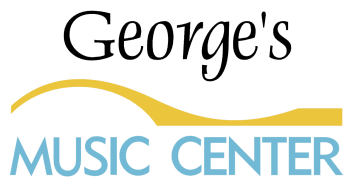 The Round Rider features a traditional and gently rounded cushion shape that is very popular due to its versatility. 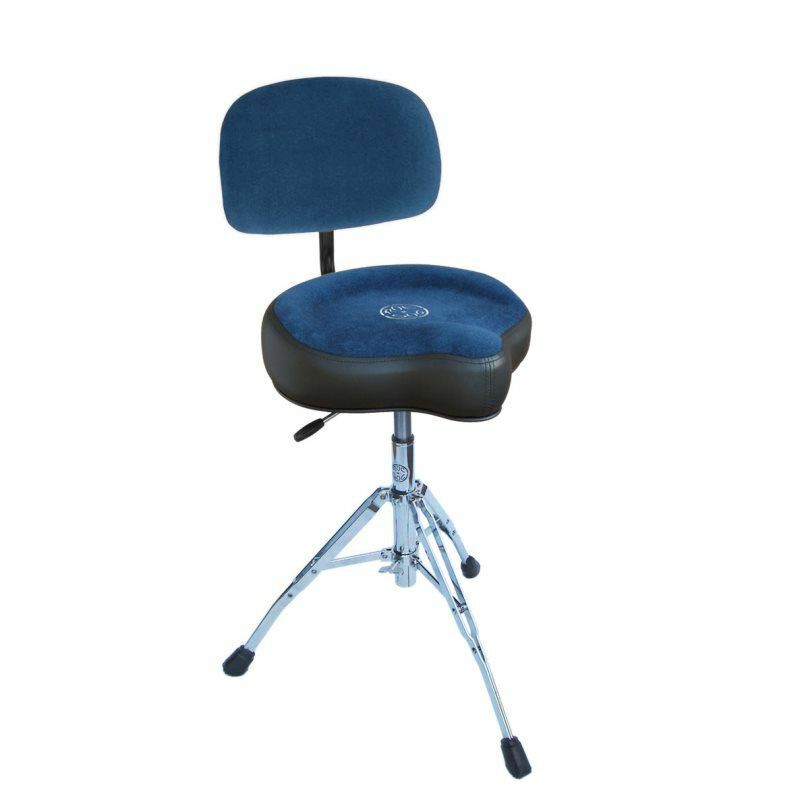 The Round Rider is available with a durable PVC seat (HT430B), or a newly designed cloth top seat (HT430BC). 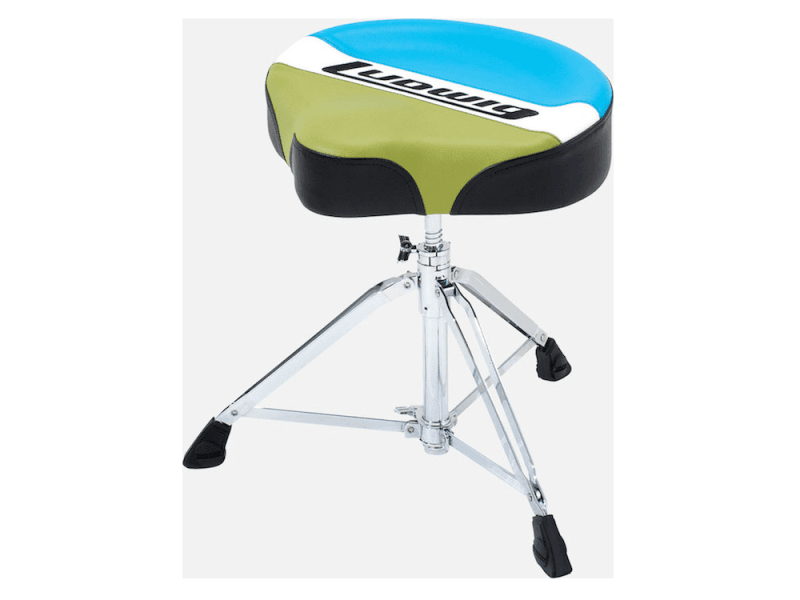 Lower profile PVC seams facilitate smooth leg motion, and a dimple on the bottom of the seat cushion provides soft but solid support that allows drummers to play at their best. 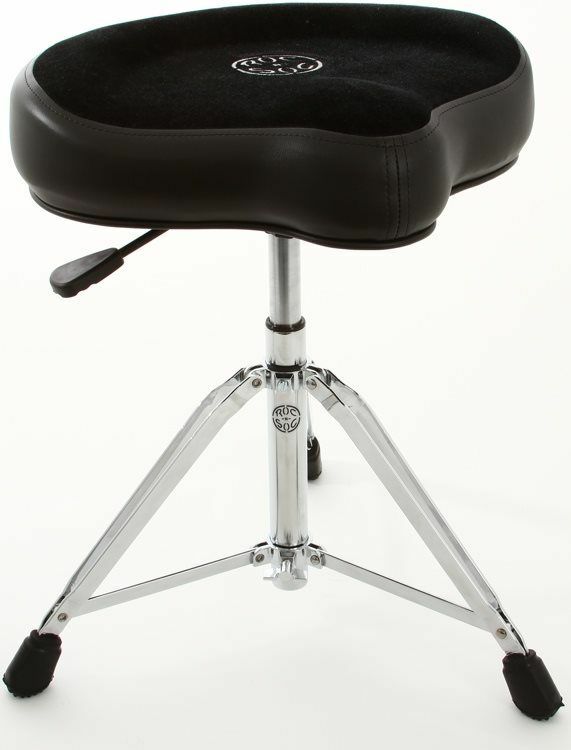 The new "Seat Link" casting securely grips the entire circumference of the throne’s upper rod with a nylon bushing. 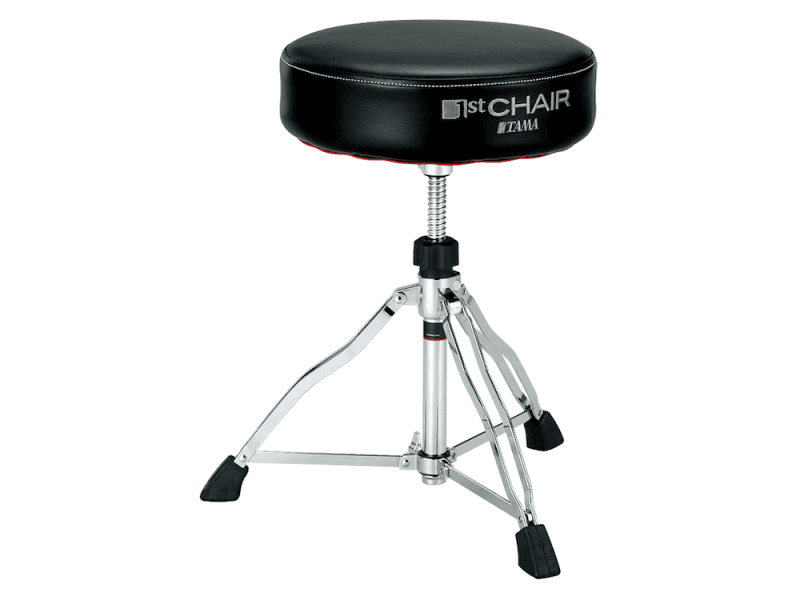 1st Chair's height adjustment system which blend threaded rod throne with the T-bolt system offers easy and fast height adjustment. 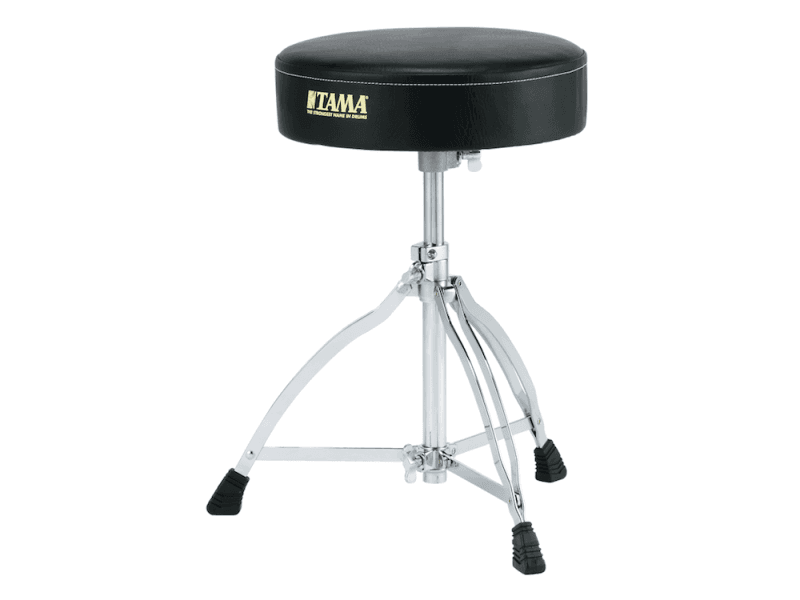 TAMA's "Rocklok" features a specially designed Nylon Bushing at the bottom of the throne's threaded rod that prevents side-to-side motion within the base. 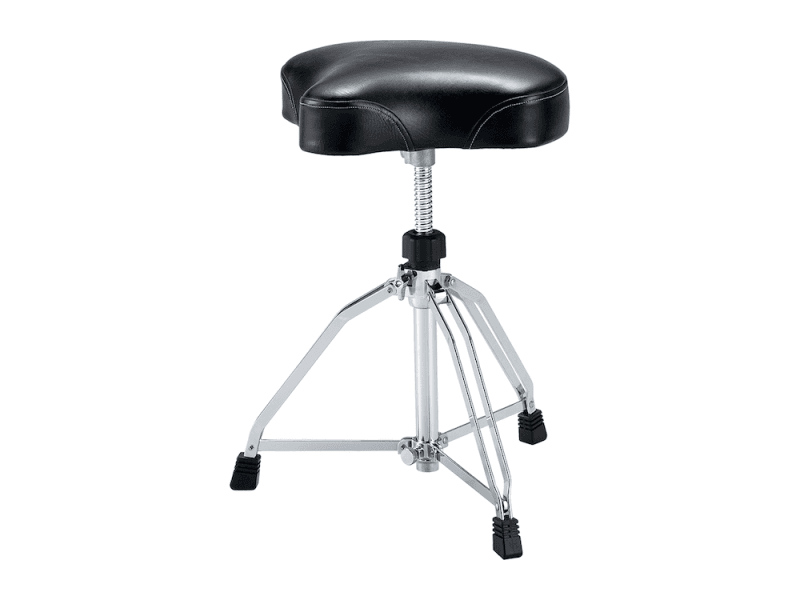 This special feature provides exceptional durability and stability. It's tough to imagine just how much weight and stress is on the rubber feet of your stand-until you see how often you have to keep replacing them. Not so with Foot Life. An innovative plastic leg attachment, Foot Life eliminates the wear and tear of metal to metal contact for longer foot life.